The NOCC DC Metro Chapter invites you to participate in the 17th Annual Run/Walk. 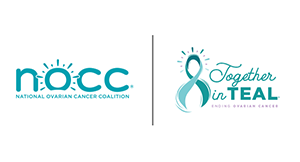 The NOCC-DC Metro chapter is comprised of ovarian cancer survivors, supporters, and health care professionals committed to raising awareness, promoting education, and raising funds for ovarian cancer research. We are dedicated to improving survival rates, as well as improving the quality of life for women affected by ovarian cancer. In addition to our volunteer committee for run/walk, we have volunteers assist with our Quality of Life and Early Awareness initiatives. Patients, caregivers, and those in the medical and pharmaceutical industries "meet" by phone quarterly to prioritize resources and brainstorm new ways to best serve the DC metro. If you care to join, contact us at dcmetro@ovarian.org. We are proud that seven local hospitals participate in NOCC's Faces of Hope program whereby we provide resources and care items for women newly diagnosed with ovarian cancer: George Washington University, Georgetown Hospital, Holy Cross Hospital, Inova Fairfax, Inova Fair Oaks, Inova Loudoun and Sibley Hospital. Additionally, our chapter offers a peer to peer program where we match survivors with the newly diagnosed to offer one to one support. Fifteen survivors have registered with the program and our Faces of Hope partner hospitals distribute information on the program. We are planning our first ever "Rejuvenate" event for survivors and their caregivers in September, in honor of ovarian cancer awareness month. We will update our facebook page as details are confirmed. Your continued support allows us to provide these types of programming in the DC Metro area and we gratefully thank you.